With an increase in our work-life obligations and an ever-changing political climate, it’s no wonder more and more people are struggling to find happiness in their everyday day routines. With so much stress and pressures from society all around us, it’s important to remember to stop and smell the flowers every once in a while. That is why we’ve decided to compile our 15 favorite podcasts that will leave you feeling inspired and grounded. Listening to these podcasts during your “me time” will prepare you for any and all obstacles that life might throw your way. So, go ahead, read all about our favorite podcasts and decide for yourself which ones will become part of your weekly self-care routine. 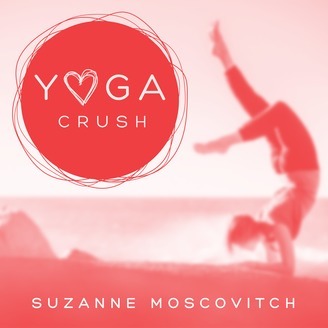 Find your motivation with Suzanne Moscovitch the host of Yoga Crush. She quit her job to follow her passion, something most of us only dream of doing. Now she shares with us her secrets to achieving a successful yoga career. This podcast is full of helpful tips and strategies to inspire all yoga entrepreneurs to become the best they can be. Listen in each week as Suzanne and her guest discuss a new topic. Are you a devoted yogi or a yoga teacher? Then this is the podcast for you. 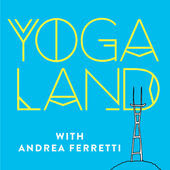 Yogaland is hosted by Andrea Ferretti, who worked as an editor at Yoga Journal. She brings a more journalistic edge to top podcasting when she has informative conversations with world-class yoga teachers, such as Bo Forbes, Jason Crandell, and Maty Ezraty. Each week Andrea discusses new topics, such as which herbs can help you adapt to stress, and yoga philosophies for beginners. 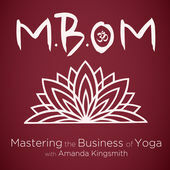 Amanda Kingsmith, the host of Mastering the Business of Yoga (MBOM), is a Canadian yoga teacher and business school graduate. Amanda and her guests offer you insightful tips on how they started their studios. After each episode listeners will be able to take away a business lesson they can apply to their own studio. But this podcast is not all business; they also include topics like, living the sutras and choosing your dreams over your fears. If you enjoy listening to inspirational stories from all over the country then this is the podcast for you. Looking for a podcast to give you emotional healing during a hard week? This podcast offers meditations that will help you rediscover your inner-center. 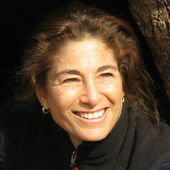 Tara is a leading western teacher of Buddhist meditation (mindfulness) and spiritual awakening. Listeners love her calming and gentle voice that helps guide them through meditation. With a regular posting schedule of once or a twice week, it’s easy to make it part of your daily route. The Host of Yoga Talks, J. 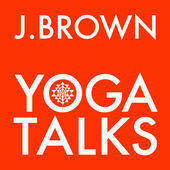 Brown, is all about creating a quiet yoga revolution. Each week you’ll find engaging discussions that cover a broad range of topics with the help of insightful guests. Previous episodes have explored topics such as opening the gateway of life, Instagram and beyond, and never giving over your power. Tune in for more breath-centered, therapeutic yoga practices to help you through the week. 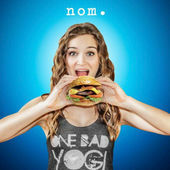 Bad Yogi is a perfect podcast if you’re just starting out on your journey of self-discovery. 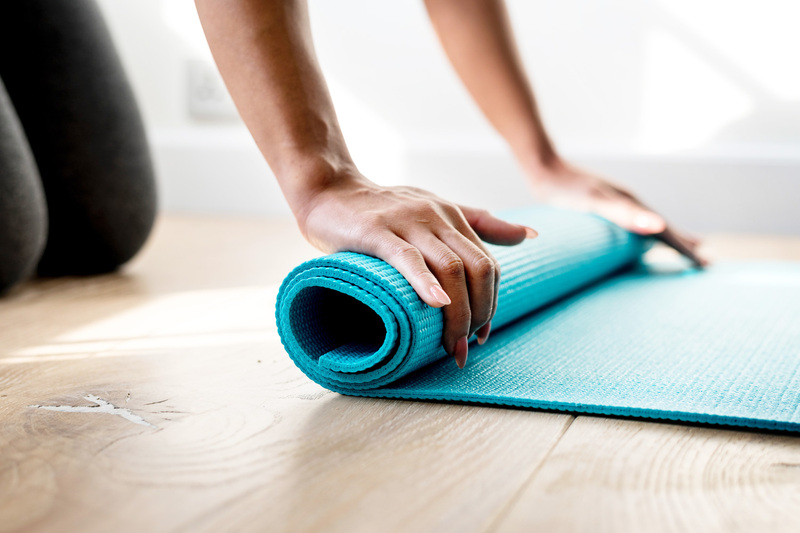 Erin Motz, the host of Bad Yogi, will provide you with the perfect environment to start off with yoga without feeling intimidated. 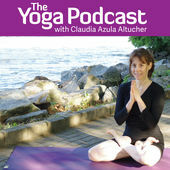 The podcast is all about healthy living, yoga and the well-being of everyday people. Listen in if you’re looking for a more practical approach. 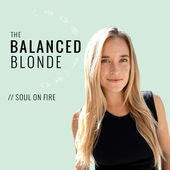 The Balanced Blonde is the ultimate millennials podcast. Host Jordan Younger brings you topics that might affect you in your everyday life. Each week she’ll discuss topics such as leaving your career to find your purpose, and taking a deeper dive into the human design. Jordan is not only the host of the awesome podcast but she also teaches yoga classes and features at yoga events. The Balanced Blonde is all about getting to know yourself and evolving. Jivatumukti Yoga With Jessica Stickler is the perfect podcast if you enjoy being in your own space during a yoga session. Jivatumukti records all of her live classes, which you can later stream from anywhere, anytime. There are many different kinds of yoga training programs, and Jivamukti is the most complete and attentive yoga training out there. Jessica has 7 years of experience when it comes to Jivamukti yoga and it shows during her spiritual teachings. As women, we’re always in need of a little girl time to help inspire us or just be able to relate to others problems. 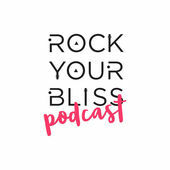 Mary Beth LaRue and Jacki Carr created a podcast that provides all you need to recharge your feminine power. The show is full of inspirational stories about women doing incredible things as well as interviews with women all about yoga and wellness. On the show they truly believe in the power of vulnerability and authenticity and their podcast is a celebration of this. 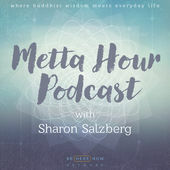 Listening to Metta hour and to Sharon Saltzberg is a humbling and educational experience. She discusses the philosophy of Buddhism in a way that is easy to understand but at the same time offering wisdom to both young and old. Twice a month you’ll find a new episode with inspired guests, such as Rich Fernandez, Ruth King, and Elisha Goldstein, discussing topics like how to be single and happy or real love stories. Tune in for the next episodes or binge-listen to all of her previous ones. Deb Flashenberg is the Director and Founder of The Prenatal Yoga Centre, a prenatal yoga teacher, a labor support dula, Lamaze childbirth educator, and a mother of 2. She is an all-round Yogi, helping mothers through a magical time in their lives. Listening to her podcast will prepare you for what’s to come during childbirth and parenthood. She shares her personal journey along with topics that are thought-provoking. 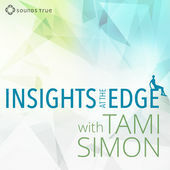 Insights at the Edge is a podcast that offers a wide variety of spiritual education and activities. Tami Simon, your host, interviews insightful writers, spiritual teachers, and inspirational influencers. Listening in to this podcast will help you become a better you with more knowledge and appreciation for your inner spirit. You will hear about taking the leap and picking yourself or overcoming overwhelm. 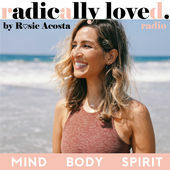 Rosie Acosta is a passionate yogi who loves to help others achieve a higher connection between their mind, body, and spirit. This podcast offers short episodes (no more than 15 minutes) which is perfect if you’re looking for a quick boost of motivation. Then there are also longer episodes for when you need to reconnect with yourself. Rosie discusses ways to make big changes in your life, so be sure to binge-listen through her previous episodes while waiting for new ones to be released. Claudia Azula Altucher is a writer in NYC with three books and a few articles in the New York Observer. She has been a yogi for over 15 years and has traveled extensively to discover the truth about yoga. She interviews long-term passionate people who live for everything yoga. Although there are no recent episodes, listening to all the previous ones offers such an incredible amount of knowledge and inspiration it is no wonder her listeners can’t get enough of it. Do you enjoy everything yoga? Well, then this is the perfect podcast for you. 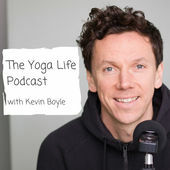 Each week Kevin Boyle will discuss a new topic regarding yoga, including authentic and captivating discussions about yoga teaching, teaching techniques, and the yoga industry as a whole. Kevin has a natural curiosity that has a way of making his listeners sit on the edge of their seats each week waiting for the new episodes to launch. Mia is the Content Director at We Edit Podcasts.